The veneration of deities called kami has been a central feature of Japanese culture for many centuries and the driving force behind a broad swath of Japanese visual art. Most recently, kami veneration falls under the auspices of a diverse body of rites known as Shinto, or “the way of the gods.” The first exploration devoted to Shinto art from collections in both the United States and Japan, this exhibition introduces works exemplifying kami worship from the Heian period (794–1185) through the Edo period (1615–1868). The exhibition and its accompanying catalogue take a thematic approach to understanding the artworks created to celebrate the world of kami. From costumes worn in dances and theatrical performances at shrines to paintings of medieval pilgrimage routes and images of kami and Buddhist deities, the exhibition is an expression of the everyday engagement of people with divinities in their midst. 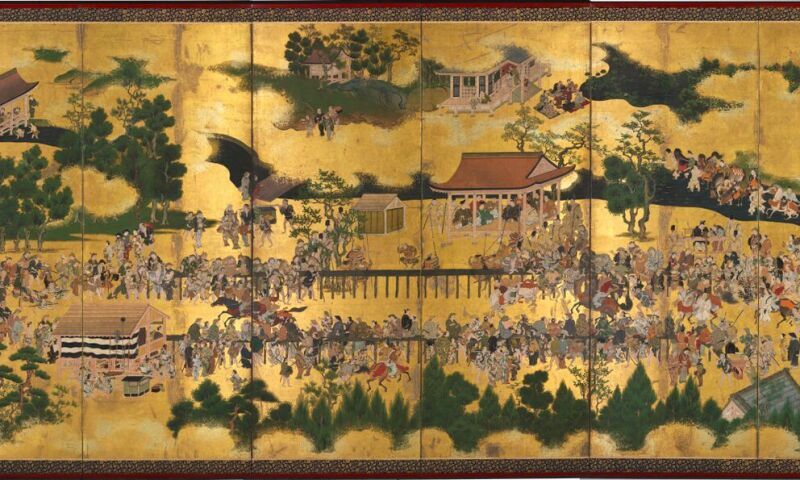 Including about 125 works of art in two rotations, it features treasures from Japanese shrines and temples, and a significant number of works designated as Important Cultural Properties by the Japanese government. Free but some exhibitions may charge.